The pretty, aromatic 2016 Crozes-Hermitage Maison les Alexandrins shouldn’t be confused with the Domaine bottling, but it’s a charming wine in its own right, boasting hints of cracked pepper and licorice on the nose and cherry and olive flavors on the palate. It’s medium-bodied, with a lithe feel and supple tannins, ideal for drinking over the next 3-4 years. Pure juniper and violets on the nose. The palate has inky concentration, but remains fresh. Good tannic grain and bright acidity bring a lovely sense of liveliness and purity, with a long finish. 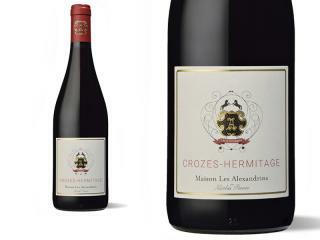 The best Crozes I've tasted from Alexandrins to date.